T-Mobile became the first network in the U.S. to announce the launch date for the Samsung Galaxy S4, while AT&T, Verizon and Sprint have so far kept quiet. 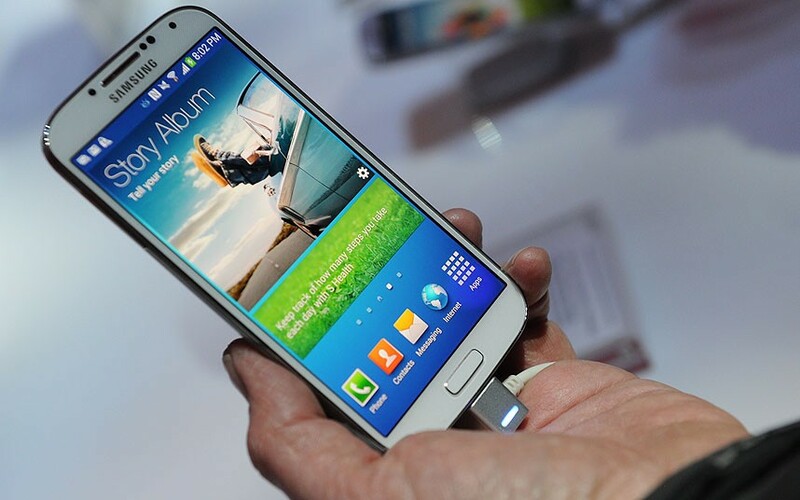 Over in the UK, today has seen all the major networks reveal their prices for the Galaxy S4, along with an April 26 release date across the board, as pre-orders for the device go live. It was EE who was first out of the gate, and it’s also the only network to offer the Galaxy S4 with a 4G LTE connection straight away. However, anyone wanting a faster data connection on their phone will have to be willing to pay a high price. If you want the lowest contract cost of £31 per month, which gets you just 500MB of data, you’ll pay a hefty £270 for the phone. Alternatively, you can pay £20 for the Galaxy S4, but your monthly bill will be £56 for 8GB of data or £76 for 20GB. Everyone else has the Galaxy S4 on a 3G plan, which is therefore slightly cheaper than EE’s 4G option. Vodafone has the phone for free with a two-year, £47 per month contract which provides 4GB of data, or if you trade-in an old phone and don’t mind 2GB of data, the phone is free with a £37 per month contract. Strangely, the Galaxy S4 isn’t listed under the Vodafone Red Hot option just yet, but may turn up after release. Three has two tariff options listed on its pre-order page, both offering the Galaxy S4 for free with unlimited data, and the choice of paying either £35 or £37 per month for two-years. The difference between the two is either 500 minutes or 2,000 minutes of talktime respectively. 02 has a wider variety of options, but highlights an online exclusive offer where the phone costs £100 with 2GB of data each month. The best deals seem to come from retailers such as Carphone Warehouse, where if you’re one of the first 2,000 people to pre-order the Galaxy S4, you’ll also get a 7-inch Galaxy Tab 2 tablet and an accessory pack for the phone thrown in. All the above are available in either the Black Mist or White Frost colors, and the prices all relate only to the 16GB Galaxy S4. So far, there isn’t an option to purchase an S4 with more fixed memory. Finally, there’s the option to buy the Galaxy S4 unlocked, but you’re going to need very deep pockets if you want to do so with Carphone Warehouse, where the 16GB Galaxy S4 is priced at an eye-watering £630, which is £100 more than the HTC One and the Sony Xperia Z. At this price, the Galaxy S3 is looking even more tempting.